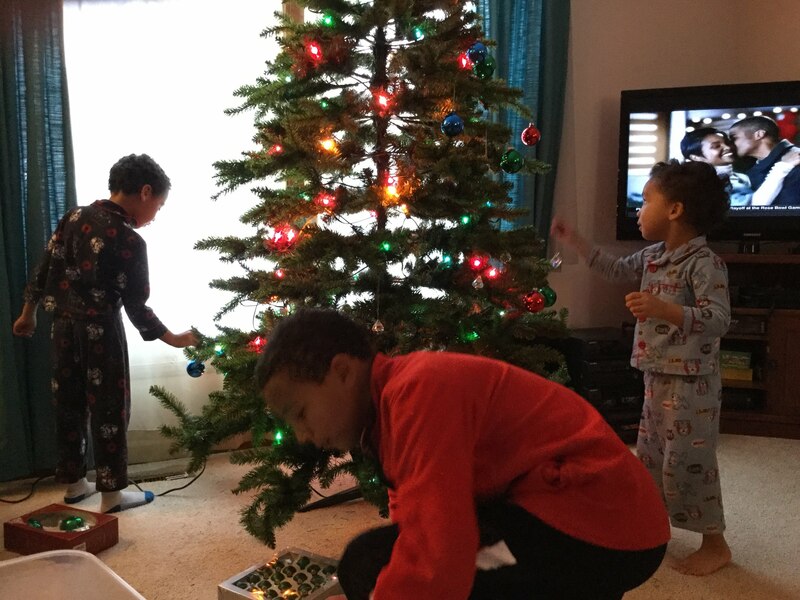 Since Christmas is right around the corner, regular readers may be tuning in expecting to find pictures of the boys putting up the tree and otherwise preparing themselves for an onslaught of joy. Through December 27, I’m running an Amazon Giveaway of my latest book. It’s the first time I’ve ever done an Amazon Giveaway, so bear with me as I learn the process. The bottom line is this: two winners will get a copy of this book shipped to them from Amazon.com absolutely free. That’s right: FREE! I’ve already paid for the books and shipping from Amazon. Click the book cover or link below to go to the Giveaway. Sign into your Amazon.com account (if not already signed in). Anders sacrificed his own promising future to save the life of child. Now he must decide whether to cling to the unlikely hope of regaining his old status, or spend his time making the most of the life fate dealt him. Though difficult to let go of rewards once promised, perhaps the greatest rewards are those earned by building new hope from the bits and pieces of wrecked dreams. A Housefly in Autumn is a historical novel intended for Young Adults and up. After December 27, Amazon will draw two random winners from the pool of entrants and ship the books directly to them. Here’s the really cool part. I’ve made the Giveaway private, so only people who follow the link can enter. Since I’d like visitors to my blog to have a good chance to win, this is the only place I’m posting the link. You can share the link, or this entire post, or keep it to yourself. That’s up to you. *The not so really cool part is that according Amazon’s rules, this Giveaway is limited to U.S. entrants. I apologize to my international friends. I would love to be able to include everyone, but apparently Amazon.com doesn’t cover the globe quite like Santa does. Merry Christmas and good luck. Now, if you really just wanted to see a picture of us putting up the tree, I’ve got you covered too. This entry was posted in Random Toy Box and tagged Amazon.com, Christmas, family, fatherhood, freebies, giveaways, holidays, humor, parenting, Sons. Merry Christmas and congrats to whomever wins from this sad lonely left out Canadian. 😉 No really Have a great holiday! It hurts me too. I hope you can still have a Merry Christmas. I will try really hard. 😉 You guys too! We will do our best! Just another one of your sad & lonely Canadian readers up here. HOHOHO! Ok, I’m sorry to have contributed to your sadness. But I can take no responsibility for your loneliness. Apparently, that’s a Canadian thing. Merry Christmas. Well the fact that you said I’m sorry means you are speaking our language! HOHOHO! And just for you I pronounced it “Sore-y”, not “Sar-y” as I would do with my countrymen. I’ve written a few of them. They are listed under the “This Guy Should Write a Book” tab at the top of the page. We put all the loin-girding photos into a special album that we bring out at holidays. Merry Christmas and good luck – so far, your odds of winning are pretty good. I’d enter just to show support, but I don’t want to deprive someone else the pleasure of your book for free. It’s a great read! And after this, can you help me on figuring out how to not deprive others of the pleasure of my books for actual money? Cause that would be like a big step in the right direction for my writing career. Hey, Canadians…I’ll enter for you, collectively! If i win, I will have a lottery drawing at FridayFrivolities.com. Hmmm, Scott i hope this does not violate some international trade law. Sure don’t want you excommunicated to or from the Amazon! Finally! I have what every blogger needs: a Canadian Ambassador. Someone to clean up all my cross-border messes. Good luck, Ed. You’ve got your work cut out for you. Very glad to hear that, Amy!